This book brings together leading voices in the Catalonian left independence movement alongside key figures in the international solidarity movement. The book articulates the political strategies and aspirations of the anti-capitalist, feminist and socialist struggles for self-determination in Catalonia in a series of 35 short and sharply written essays. The book includes a preface by Anna Gabriel, who was the Parliamentary leader of the municipal socialist CUP party at the time of the referendum and is now in exile in Geneva, under threat of arrest and imprisonment by the Spain. It includes chapters by Catalan political leaders including Jordi Cuixart (currently in jail awaiting trial for sedition), Liz Castro and David Fernandez, and prominent international contributors including journalist Paul Mason and economist Costas Lapavitsas. Ignasi Bernat and David Whyte set the scene for the book in an extended introduction that traces the enduring influence of the ’78 transition from Franco, and use this analysis to discuss the possibilities for developing truly democratic and popular forms of self-determination. The rest of the book is organized into three parts. The first part, ‘The Foundations’, presents an analysis of the historical roots of the current situation from a left independence perspective. It traces the historical roots of Spanish nationalism, through the transition and the strategies of successive Spanish government and sets out how the current struggle for independence developed out of a strategy of resistance to the Spanish neo-liberal oligarchy. The second part, ‘A Republic Built On Civil Disobedience’ documents the way that the neighbourhoods organized the referendum, mounting a highly organised defense against police violence, and the way that the struggle was generalized into the social movements and the trade union movement. This section will show how the political struggles in communities and workplaces have in many ways been more significant than the game being played out in ‘big’ politics. The third part, ‘Making the New Republic’ analyses the prospects for building an anti-capitalist, anti-racist, feminist and internationalist Catalonia. In so doing, it establishes the priorities for social and economic transformation in the new republic. 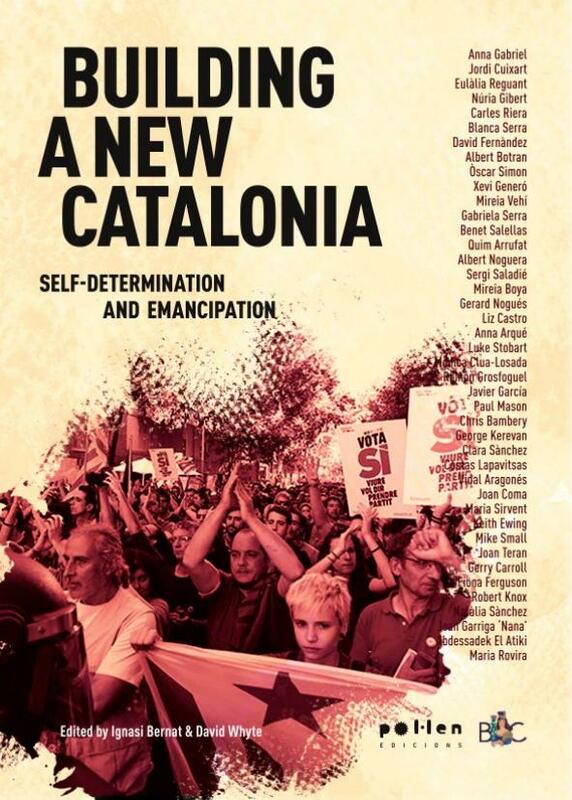 The book’s editors Ignasi Bernat and David Whyte have documented the Catalan struggle for self-determination from a left independence perspective for Bella Caledonia, Red Pepper and The Guardian. The book is published by Pol-len in Catalonia and Bella Caledonia in Scotland. UK distribution is by Lighthouse Books. Price £9.99 – available from Monday – contact us to order a copy. For review copies contact us here. The continued long established imperial oppression of minority languages is an important matter for those seeking Catalan or Scottish independence as well as for those of us who wish to see a Scots Language Act more generally as a human right. True emancipation for disenfranchised Scots will require such an act. Holyrood’s inertia thus far appears to favour the imperial power language policy, i.e. by excluding and ignoring Scots language in law. Anyone interested might wish to know that the show trial of Catalan independentist politicians, both left and right wing, starts today, 12 February. Not streamed on Spanish TV as promised, only Catalan substations or whatever you call them. One further untruth to add to the many. If you can get TV3, the Catalan station, it will be streamed there but I expect you’ll need a VPN or something similar. Not sure what translation facilities available, but most will be in Spanish not Catalan because simultaneous translation has also been refused. The guys on trial want máximum foreign exposure even at the expense of language stress.